Welcome to the Detroit Information Systems website. If you are interested in becoming an authorized distributor, please contact us. 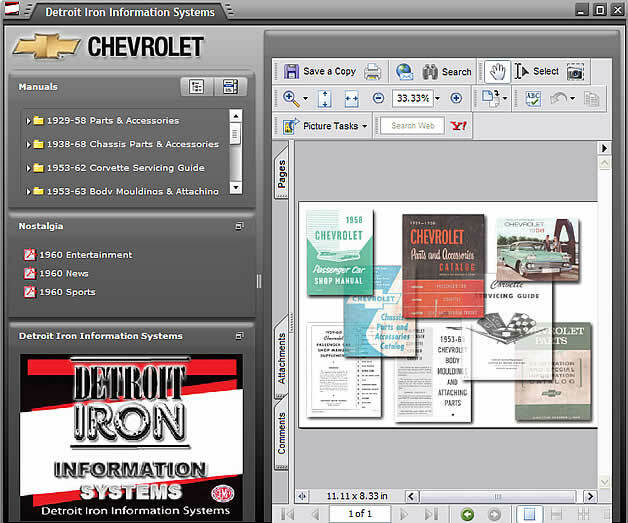 Detroit Iron has been licensed to reproduce / publish General Motors, Ford and Chrysler shop manuals since 1998. Copyright Detroit Iron Information Systems. All Rights Reserved.